English diarist , whose writings include contemporary references to life during the Great Plague of London. He was Secretary of the Admiralty. Spong and I had also several fine discourses upon the globes this afternoon, particularly why the fixed stars do not rise and set at the same hour all the year long, which he could not demonstrate nor I neither. [1665-06-10] ...In the evening home to supper, and there to my great trouble hear that the plague is come into the City (though it hath these three or four weeks since its beginning been wholly out of the City); but where it begin but in my good friend and neighbour's, Dr Burnett in Fanchurch Street - which in both points troubles me mightily. To the office to finish my letters, and then home to bed, being troubled at the sickness ... and particularly how to put my things and estate in order, in case it should please God to call me away. [1665-06-15] ...The town grows very sickly, and people to be afeared of it - there dying this last week of the plague 112, from 43 the week before - whereof, one in Fanchurch-street and one in Broadstreete by the Treasurer's office. [1665-06-17] It stroke me very deep this afternoon, going with a hackney-coach from my Lord Treasurer's down Holborne - the coachman I found to drive easily and easily; at last stood still, and came down hardly able to stand; and told me that he was suddenly stroke very sick and almost blind. So I light and went into another coach, with a sad heart for the poor man and trouble for myself, lest he should have been stroke with the plague - being at that end of the town that I took him up. But God have mercy upon us all. [1665-07-22] I met this noon with Dr Burnett, who told me ... that his servant died of a Bubo on his right groine, and two Spots on his right thigh, which is the plague. [1665-08-12] The people die so, that now it seems they are fain to carry the dead to be buried by daylight, the nights not sufficing to do it in. And my Lord Mayor commands people to be inside by nine at night that the sick may leave their domestic prison for air and exercise. [1665-08-22] I went on a walk to Greenwich, on my way seeing a coffin with a dead body in it, dead of plague. It lay in an open yeard. ... It was carried there last night, and the parish has not told anyone to bury it. This disease makes us more cruel to one another than we are to dogs. [1665-11-09] ...The Bill of Mortality, to all our griefs, is encreased 399 this week, and the encrease general through the whole city and suburbs, which makes us all sad. 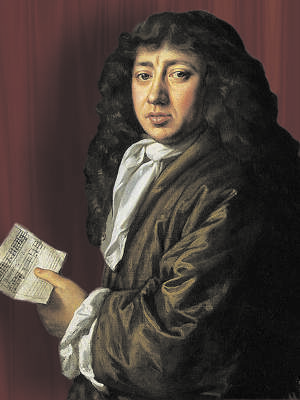 23 Feb - short biography, births, deaths and events on date of Pepys's birth.